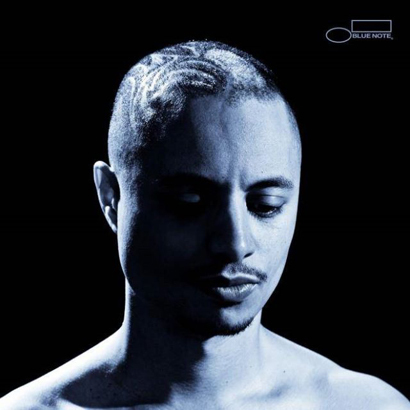 I’ve been on the Jose James bandwagon since day 1 so let’s just say I am a bit biased when it comes to talking about one of his new releases. Ever since I bought the white label copy of “Equinox” vinyl in a London record shop in 2006, I have been saying to anyone who would listen that Jose James is one of the most exciting talents in jazz in years! Actually funny story about buying that record, it was Aaron Jerome aka SBKTRT who sold it to me. So since 2006 a lot of amazing things have happened to Jose James but mainly one key point is that he’s proven that he has something that is very rare nowadays: staying power. The future is bright and now comes his fourth LP and first on legendary jazz label Blue Note. “No Beginning, No End” follows “The Dreamer” (2007, Brownswood), “For All We Know” (2010, Verve/Impulse), “Black Magic” (2010, Brownswood). The expectations are high and lots of music heads are wondering in which direction he would go: staying faithful to your original fans and starting to slowly break more into mainstream recognitio can be a very hard balancing act. Collaborations on “No Beginning No End” include producer/bassist Pino Palladino; pianist/composer Robert Glasper; R&B singer/songwriter/guitarist Emily King; international French-Moroccan singing star Hindi Zahra; and the 2011 Thelonious Monk Competition winner pianist Kris Bowers. I’ve had the pleasure of interviewing Jose James in 2010 and actually DJing as the opener to his last Montreal show. Really nice guy and so talented… I wish him all the best on the release of his new record. Future Classic: Jaw Jam "The Truth"